has been a lecturer in social anthropology at the University of Manchester, UK since 2003. He works on the anthropology of sound, investigating questions about the politics of noise from the perspectives of acoustic science, sound studies and sound art and focuses on projects in Japan. His most recent project ‘Air Pressure’ (2010 -) about the effects of aircraft noise on human health and habitus is a collaboration with an acoustic scientist Kozo Hiramatsu and sound artist Angus Carlyle, supported by the Wellcome Trust. Among the outcomes have been a gallery installed sound installation at the Whitworth art gallery, Manchester UK, sound-films (‘Air Pressure’ and ‘Ki-atsu’) and art-book with CD, as well as academic articles. His approach to using sound recordings is to combine intellectual examination with public understanding through artistic expression. His original research (2005-6) into sound matters arose from questions about nature of Zen experience and the famous koan ‘What is the sound of one hand clapping ?’ which became a series of recordings and articles. 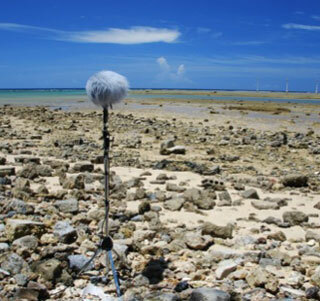 Current research for 2012 and beyond, supported by the British Academy and Japan Society for the Promotion of Science, uses sound recordings and film in investigating the idea of military aircraft sound as a ‘Sound of Freedom’ focusing on the effects on environment and health of aircraft noise generated from US military bases in Okinawa.